I did end up using some of the greens from Orca Bay in Good Fortune (as well as some of the reds from Allietare). When I used stash fabric for Busy Street (Edit! I just realized the mystery was EASY Street... mine was just busier than most and I couldn't get that out of my mind apparently! LOL! ), I wasn't happy with the result... I am thrilled however with Good Fortune. 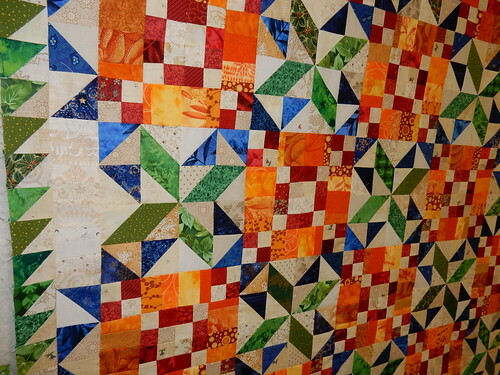 I decided to make it longer because finishing at 72" square didn't give me enough length for at least a lap quilt. I like to tuck my toes sometimes :) Because there were extra four patches, I was able to make up that block quickly... and now I only have one four patch left. 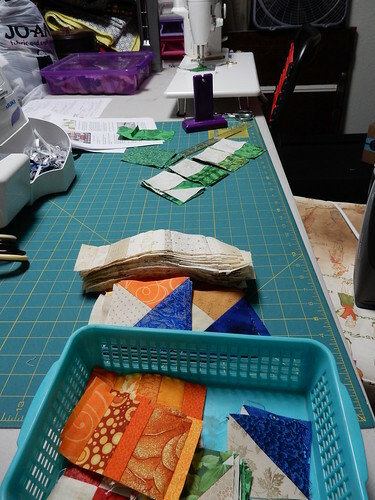 I decided to do the green sawtooth border before deciding if I wanted to do more bonus hst's again, and there are many leftover still. 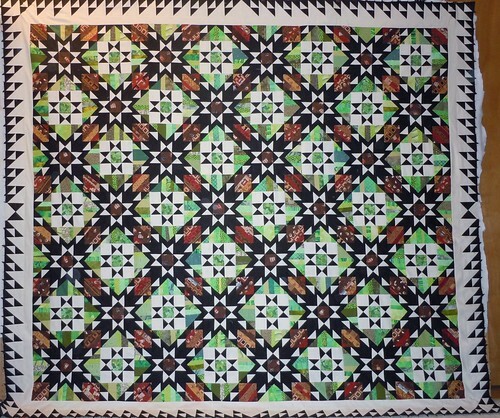 I haven't made up my mind yet, but I need to soon since I am almost done with one side of the half chevron pieces for my extra 7 blocks needed. 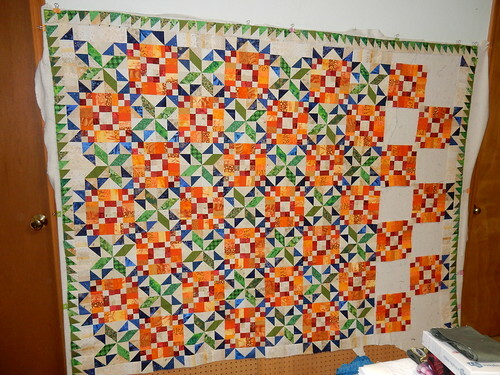 My project over the next week is to finish up the 7 chevron star blocks and then work on adding a few extra pieces for the two longer borders. 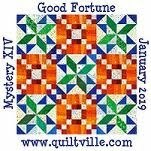 I am wondering if this quilt will bump others in line for quilting? 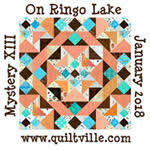 Check out the other reveals here: http://quiltville.blogspot.com/2019/01/mystery-monday-link-up-reveal.html I love seeing how others have used different colors and how they turn out. All you Orange lovers. Looks great. I'm not sure how big mine will be. Not happy with my Purple strings. Have fun! 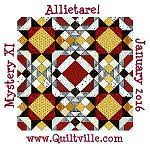 I do love this mystery, even with all the orange! :) I do like that you are enlarging it. 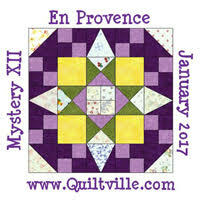 You could get it quilted in time for the fair! Great job! Grandmother's Flower Garden, Row 6 Complete!